Blacksburg, VA – What started out as a seafood shop that happened to have some exotic beers and wine slowly morphed into a legitimate alternative for those people bored by the mundane offerings of their local grocery or liquor store. No longer a restaurant, Vintage Cellar now specializes in hundreds of unique beers, wines, and food. Vintage Cellar has been selling beers for more than 25 years. They carry about 600 main selections including international beers from Ireland, Belgium, Germany, Greece and Spain, in addition to domestic brews. “There are a lot [of kegs] available. We don’t stock them all, but we do list them,” President and founder Keith Roberts, said. 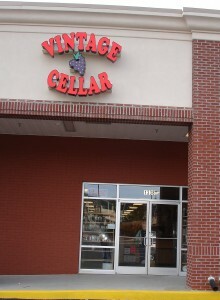 Since Vintage Cellar is located 10 miles off of interstate 81 in southwestern Virginia and about five hours away from Richmond and Northern Virginia, Roberts says deliveries are difficult. Vintage Cellar also attracts customers with savings and by holding regular tastings. Beer tastings are held a minimum of once a week. “We try to get breweries and importers to come in and taste their beers. They’re going to know more about their beer than anyone so they’re the perfect person to pour it,” Roberts said. He also mentioned that the most popular tastings tend to be the ones that focus on local businesses, such as the local brewery, Shooting Creek. People who like to support Blacksburg and neighboring counties come to these events.